The Alaska Coastal Rainforest Center and the Southeast Alaska GIS Library sponsored the Cross-Boundary Data Integration Workshops at the University of Alaska Southeast on February 16-17, 2011 and February 1-3, 2012. The first workshop aimed to coordinate data integration tools to address issues of regional importance. It also initiated the implementation of a cross-boundary data management system. 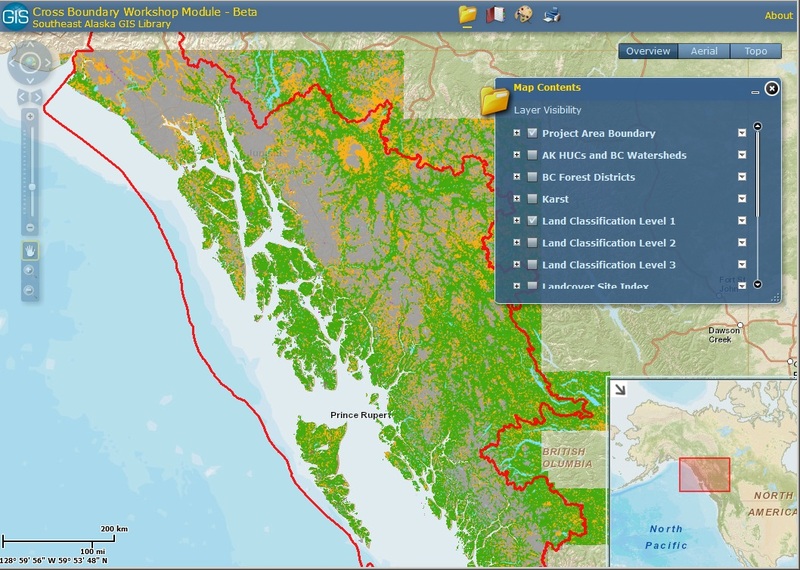 The second workshop facilitated planning sessions and forums on technical development of standardized datasets and helped formalize a platform for coordination of data exchange and dissemination via the Southeast Alaska GIS Library. In addition, this workshop established a plan for future analytical efforts in which cross-boundary datasets are utilized to address critical and regional conservation applications such as connectivity and dispersal, carbon budget allocation, and climate change vulnerabilities.